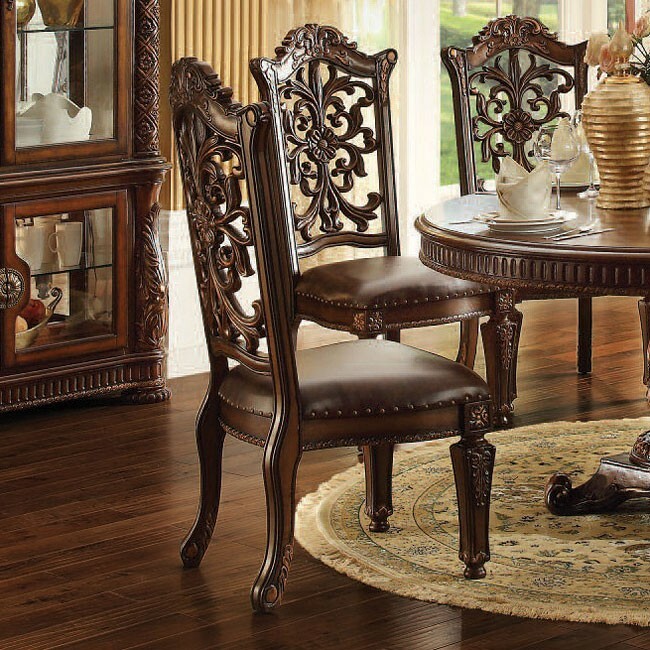 The Vendome 54 Inch Class Dining Room Set by Acme Furniture features a Dining Table complemented with oversized upholstered Chairs all accented by floral carving decorative base and feet. 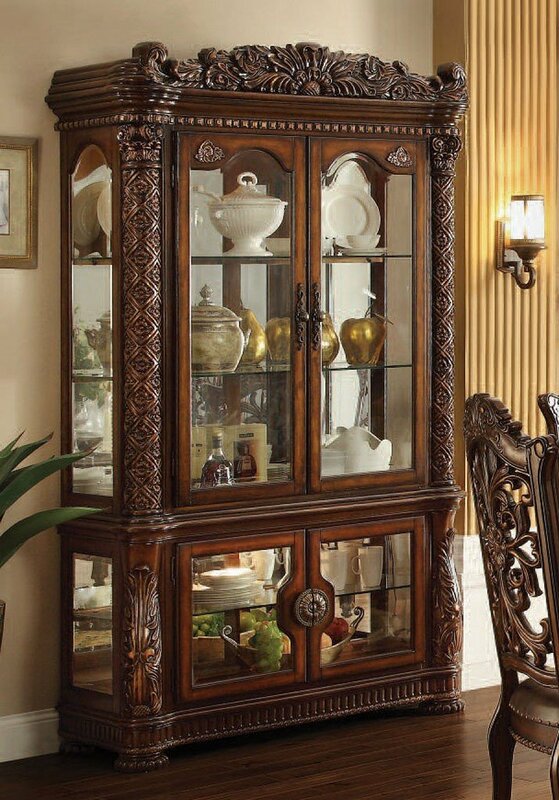 Matching China and Curio reflect all carefully selected design features as the dining collection. 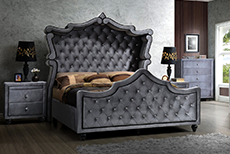 Crafted from popular cherry finished veneers, you can be sure this collection will stand the test of time. The Acme Furniture uses pine, have maple, and other exotic Asian hardwoods in wood products. 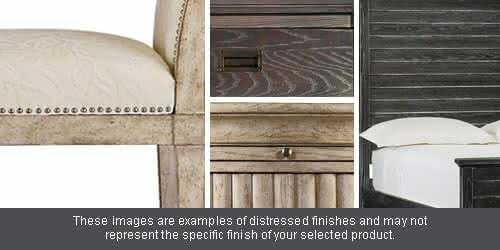 On veneers, the company uses birch, oak, cherry, rosewood, and other hardwoods to achieve desired patterns and effects. Vendome 54 Inch Class Dining Table (Cherry)	 121.0 lb W-54.0" D-54.0"
Vendome Curio (Cherry)	 414.0 lb W-53.0" D-21.0" H-87.0"
I really like it! I really enjoy the fact that this Dining Set arrived as quickly as it did and in such good shape. If the rest of the items in the ACME Vendome collection are as nice as this one, than you can rest assure that I will be ordering more in the near future. 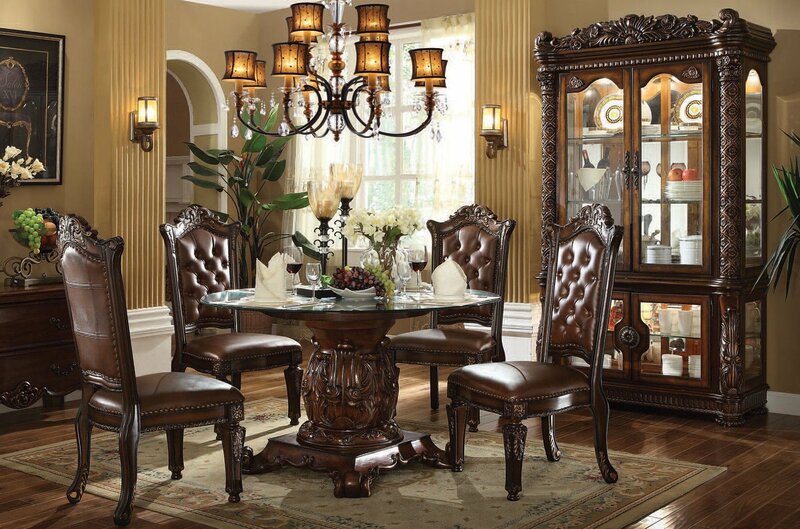 Awesome looking Dining Set! 1stopbedroom always has great prices on the ACME Vendome collection and I got this Dining Set for a really affordable price. Happy customer over here. Quality and function are the most important things for me. 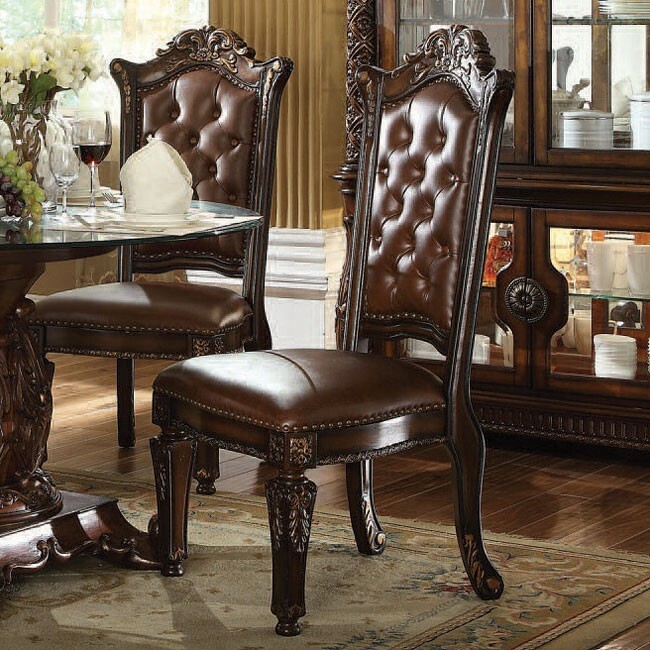 I bought this Dining Set and I have to say that the quality of the item is great. In terms of function, the item is exactly what I had wanted for my home. I am happy to say that my family and I will be buying more items from the ACME Vendome collection in the near future. Wow, thanks, 1stopbedroom for making me trendy! It all started when I had a party a couple of weeks after getting a new Dining Set. Everybody wanted to know the details about my fantastic Dining Set, so I told them about the ACME and the Vendome collection. And the next thing I knew, everybody was buying something ACME from 1stopbedroom! I love my new Dining Set from the ACME Vendome collection. 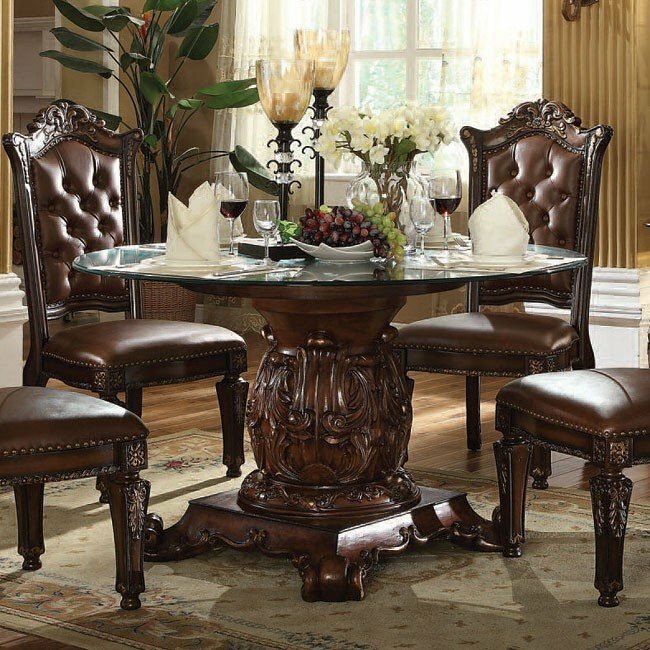 And what I love even more is that I didnt have to break the bank to purchase this beautiful new Dining Set. Every time I invite people over my house I receive compliments on it. People always ask where I got this Dining Set; some even have the nerve to ask how much I paid. Most times I tell them because I am very proud of my new Dining Set and when I tell people how little I spent on it they are shocked.